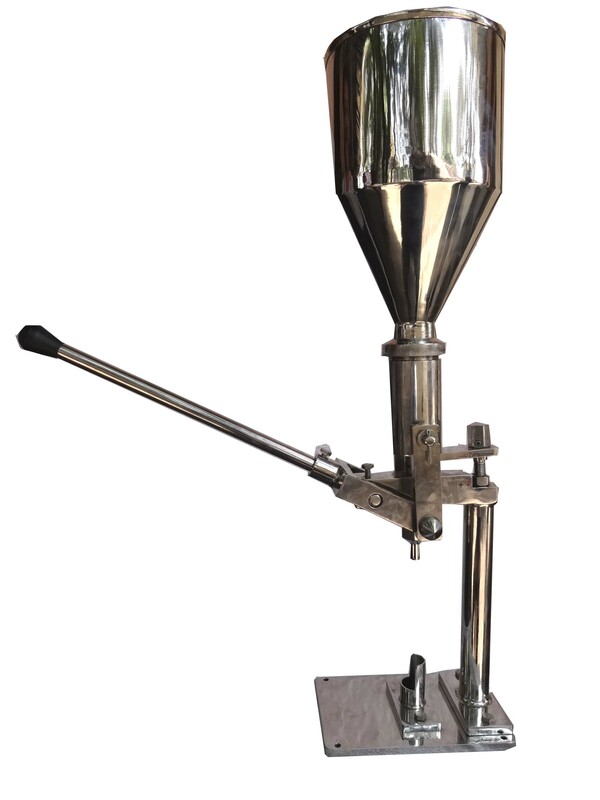 We Manufacture Hand Tube Filling Machine from 3 grams to 250 grams for ointment, cosmetic, cream and paste filling. Filling Capacity 5 TO 50 GMS OR 50 gms to 150 gms. And 150 gms to 250 gms. All contact parts made out of S. S. 304 quality and non contact parts of SS 304. SS piston running In SS metering cylinder as per Volume / weight required. 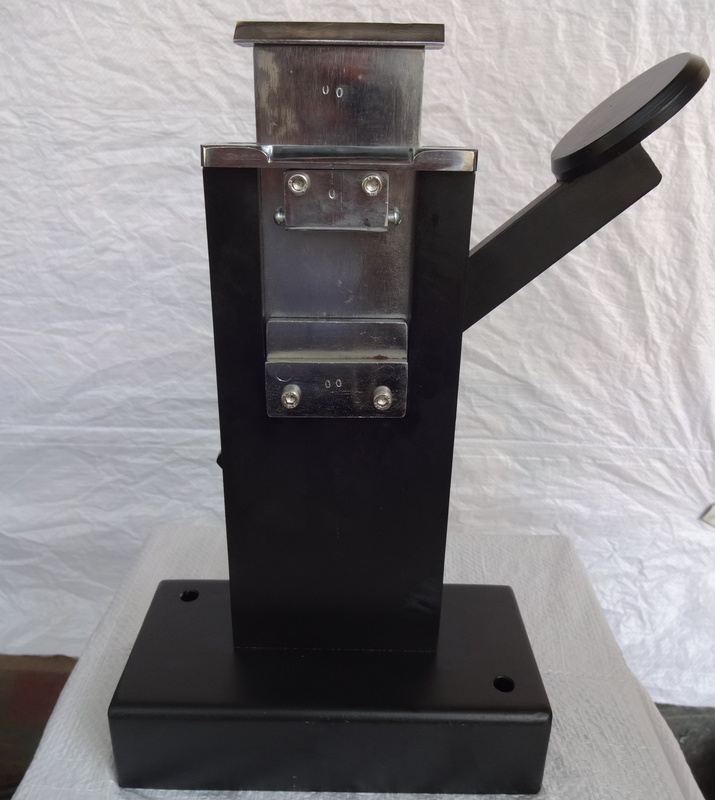 A SS hopper about 12 Kgs is fitted on the top of the cylinder. The machine is suitable to fill any quantity of products by setting & adjusting the Stroke of the piston. Out put: 20 Tubes of 30 grams per minute depending the viscosity of the Products. 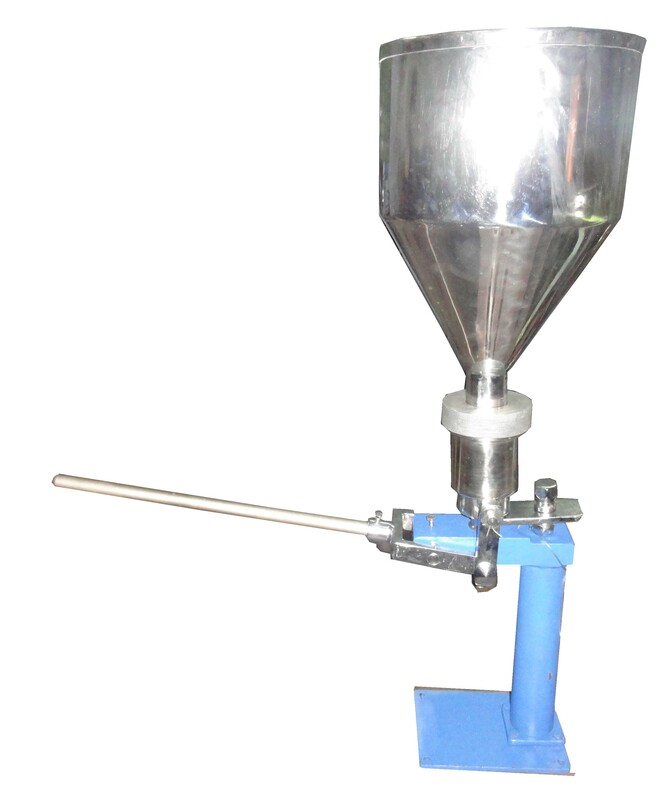 for 50 gm to 250 gms with hopper capacity of 20 Kg.